Recently awarded 'Hotel of the Year 2010' by Golf Tourism Scotland, The Royal Golf Hotel is located in the Royal Burgh of Dornoch overlooking the First Tee of the world renowned Dornoch Golf Club ranked 6th best in the world by Golf Digest 2014. 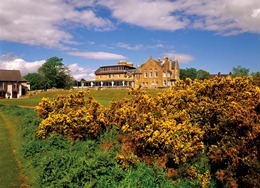 Many of the 22 individually styled four star standard bedrooms overlook the golf course and Dornoch Firth beyond. Each room is equipped with direct dial telephone, colour television with freeview channels, hospitality tray and complimentary toiletries to ensure a comfortable stay. There is free WIFI internet access throughout the hotel. The Conservatory Restaurant provides an array of mouth watering dishes made from the finest locally sourced, fresh and seasonal ingredients. Menus are complimented by an extensive wine list and a selection of over 30 malt whiskies. We also provide a golf club store room and drying room for those not so sunny days! Links House at Royal Dornoch is the only 5 star hotel in Dornoch, located close to the 1st tee of legendary Royal Dornoch Golf Club, is rated the Golf Hotel of the Year for 2015, 2016, 2017 & 2018 by the Scottish Hotel Awards as well as TripAdvisor's 2015 Travelers' Choice award as "#7 Luxury Hotel in UK". With fifteen uniquely styled suites, decorated and furnished with the finest antiques and fabrics, each room offers the high levels of comfort you would expect from one of the world’s best luxury small hotels. The public rooms too – from the drawing rooms to the library – echo this sophisticated country house style. The grounds and gardens at Links House allow guests to drink in the long, fine summer evenings in the Northern Highlands, possibly getting in some putting practice on our own green built by Royal Dornoch greenkeepers. Links House also prides itself on the quality of our food and wine offering. Ranked 5-star by VisitScotland and 2 Rosettes by AA, our Orangerie restaurant offers an exceptional dining experience from locally caught shellfish to fine Scottish beef and wild game. Our team works to create perfect menus with the very best seasonal and local ingredients. Links House also boasts two extraordinary whisky bars and the most extensive wine cellar in the Highlands. We are always open to non-residents of the hotel. 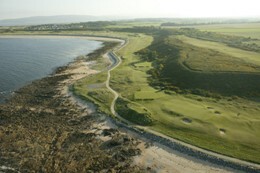 Dornoch Castle is located only 5 minutes walk from the Clubhouse in the centre of Dornoch. 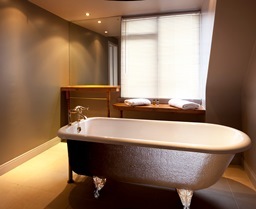 There are 25 en-suite bedrooms situated within the original 15th Century building and the modern extension. Family owned and run, Dornoch Castle Hotel has been carefully refurbished to maintain the character of the Castle as a historic and comfortable residence and our Garden restaurant has been awarded an AA Rosette for culinary excellence. Parking is available on the street directly outside the hotel, in our private courtyard and towards the rear of the hotel. Set in its own grounds in a truly historic corner of the Scottish Highlands, overlooking the esteemed Royal Dornoch Golf Course and bordered by pristine beaches and forestry walks, The Dornoch Hotel boasts 105 bedrooms, two restaurants, and spectacular views. The Golf Links is a friendly family-run Hotel situated in Golspie on the East Coast of Sutherland, with stunning seafront location and beautiful views overlooking the Dornoch Firth. 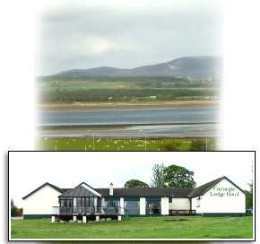 Located right by the beach and immediately adjacent to the marvellous 18 - hole Golspie Golf Course. 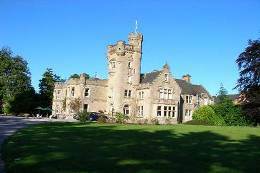 Only 8 miles north of Royal Dornoch - 6 miles south of Brora and 50 miles from Inverness and Wick the ideal base to relax, the hotel is now all non smoking but we do have a large garden. We are just the place to stop off at on your way to the Orkneys a nice relax a good sleep and then a very pleasent drive up to get the lunch time ferry. We are a bike friendly hotel with under cover secure storage/parking. The Golf Links Hotel is a friendly, comfortable, family run hotel, the bar is stocked with over 200 single malts and a good selection of both bottled and draft beers including Tennents lager and Guinness, good food and a varied selection of wines. It now has wood pellet stoves in the bar and the dining room and is also centrally heated throughout. 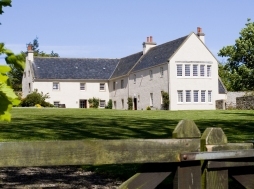 Glenmorangie House is one of Scotland’s finest Highland Homes where you will find tranquility and style, and with just 9 bedrooms this combines to an elegant, intimate house-party experience. Owned by Glenmorangie, we pride ourselves on our luxurious heritage and you are invited to relax with us and enjoy our warm genuine hospitality. The House is located just 60 minutes drive north of Inverness, near the Seaboard Villages on the shores of the Moray Firth. Tucked away on the East Coast, The House is surrounded with wonderful seascapes, a private beach and beautiful walled gardens. Tain, our nearest town, is Scotland’s oldest royal burgh. The local area offers you a large range of activities and experiences, from golf to highland games and falconry to fishing, and as a guest of ours, you can take advantage of the Glenmorangie Concierge services to help you plan and book these local attractions, tailor-made to your personal requirements. Being part of the Glenmorangie Whisky company, The House naturally specialises in whisky and all our staff are professional, trained whisky ambassadors who will give you a great Glenmorangie experience whilst staying with us. Ask about our ground breaking Signet Masterclass and our speciality whisky weekends! Food at Glenmorangie House is something special too. Using only the finest, local ingredients, a bespoke dinner menu is created daily by our expert chefs. ‘Glenmorangie’ is Gaelic for ‘The Glen of Tranquility’, which is not a real place, but a feeling - a feeling that you will experience at Glenmorangie House. 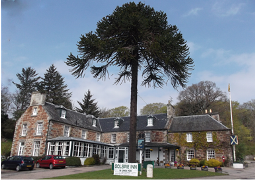 Dating from 1808, the historic fourteen- bedroom Golspie Inn Hotel has been providing traditional Highland hospitality for more than two centuries. An ideal coastal location, Golspie is a golfer's paradise, with five exceptional nearby local links courses in Brora, Golspie, Royal Dornoch (Championship and Struie courses) and Tain around us. All these courses are highly rated in the index of Scottish courses, with the Championship course at Royal Dornoch regularly featured among the top 20 courses in the world. After a full day of golf, you are welcome to dine in either of our two restaurants or enjoy our pub menu in our comfortable bars. Our menus offer high quality, locally sourced food, including fresh fish and shellfish from our own family boat. 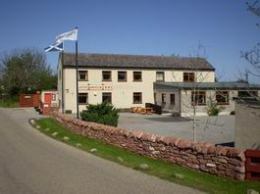 Highlands and experience genuine Highland hospitality at the Golspie Inn Hotel. Overlooking the mouth of the River Brora, the Royal Marine is a charming country house hotel designed by renowned Scottish architect Sir Robert Lorimer in 1913. 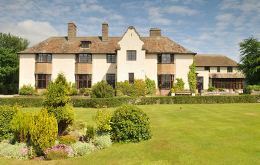 The Royal Marine Hotel now offers 4 star accommodation and superb AA Rosette food amid glorious coastal scenery. 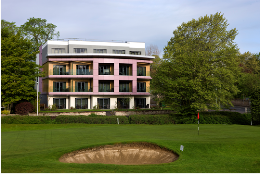 From luxurious, private suites to airy spacious rooms for large golf parties, the Royal Marine can accommodate anyone wishing to accept our hospitality and enjoy the relaxation of our special location. We have 21 recently refurbished bedrooms within the hotel, plus 24 contemporary luxury self-catering apartments to suit all needs. Overlooking the town of Tain - the historic and oldest Royal Burgh in Scotland, Carnegie Lodge Hotel enjoys the benefits of a countryside outlook while only a ten minute walk from the town centre. Carnegie Lodge Hotel is owned and managed by Derek and Heather Wynne, a husband and wife team, supported by a genuinely happy and cheery 'family' of hand picked catering and hospitality staff. 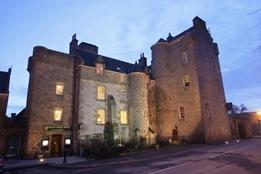 A country house hotel situated in the town of Tain,just 12 miles from the course. We pride ourselves on a warm welcome, good food and of course a strong knowledge of golf in the area. If you are playing any of the local courses Royal Dornoch, Tain, Golspie, Brora, Nairn, Castle Stuart why not make Tain your centre with all courses in easy reach. We look to offer a discount on our normal rates for golfing parties. 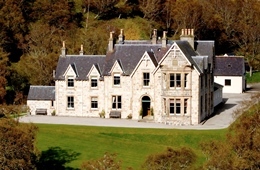 A country house hotel situated in the town of Tain,just 12 miles from the course. We pride ourselves on a warm welcome,good food and of course a strong knowledge of golf in the area. If you are playing any of the local courses Royal Dornoch, Tain, Golspie, Brora, Nairn, Castle Stuart why not make Tain your centre with all courses in easy reach. The Fearn Hotel has a warm and cosy atmosphere with good home cooking using local produce where possible and is personally run by the owners, Graeme and Denise. The hotel is set in the village of Fearn, which is 3 miles off the main A9 just south of the Royal Burgh of Tain, with magnificent views over the countryside towards Nigg and the Seaboard villages of Hilton, Balintore and Shandwick. 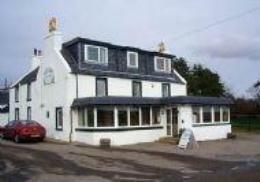 Edderton Inn is located on the shore of the Dornoch Firth just 8 miles (10 minutes) from Dornoch and ideally located for over 20 golf courses within 1 hours drive. Catering for groups of up to 14 people in comfortable en-suite accommodation. We offer home made food in our restaurant and a full licensed bar for residents with bottled real ales and premium lagers and a large selection of malt whisky. A cosy lounge bar with wood burning stove guarantees you a warm welcome. 20-20. Not just Perfect Vision but a statement of how many courses are within a 20 mile radius of the celebrated Kincraig Castle Hotel, set in the stunning scenery of the Highlands of Scotland. 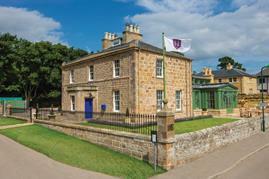 Kincraig is one of the best situated Hotels for anyone passionate about Golf. 20 Golf Courses within a 20 Mile radius and in the Highlands of Scotland. 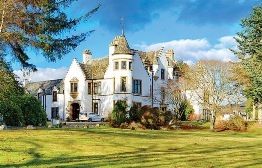 Kincraig Castle Hotel is your 19th Hole. Alladale Wilderness Reserve is located just a 50 minute drive from Royal Dornoch Golf Course, and 1 ½ hour North from Inverness. A helicopter flight from Inverness Airport to Alladale takes about 12 minutes. Alladale Lodge, built in 1788, offers 7 double en-suite bedrooms, private chef, full service, private gym and sauna, drawing room and dining room, and is set within a beautiful 23,000 acre wilderness reserve. On-site activities include hiking, mountain biking, clay pigeon shooting, trout fishing, whisky tasting, massages and beauty treatments, landscape photography, foraging, and 4x4 tours across one of the largest privately owned rewilding projects in the United Kingdom. Also available are two high end self / catered cottages, sleeping 4 and 8 guests respectively. Individual room bookings in Alladale Lodge are available in the months of May and November. The lodge is available for exclusive use during all other months.We can assist with local transfers, and help create a bespoke itinerary filled with on- and off-site activities for you and your group. Luxury Four Star Hotel in Inverness With so many hotels in Inverness to choose it’s good to know that when you book the Kingsmills, you’ve picked a hotel with an excellent reputation throughout the Highlands and Scotland. The hospitality here has been enjoyed by both locals and visitors to Inverness for many years. Set in four acres of carefully kept gardens and manicured lawns, at the Kingsmills Hotel you’ll be assured exceptional service in a quiet and pretty location in the Highlands of Scotland. You’re close enough to walk to the city centre, and are only a short distance from Inverness train station. Kingsclub Inverness offers a choice of Cocoon or Retreat luxury air-conditioned bedrooms, a beauty spa, mezzanine lounge, business centre, massage suites, relaxation area, nail salon, green space, golf course views, exclusive bar and restaurant and a city centre location. Set within the grounds of the much loved and highly acclaimed Kingsmills Hotel in Inverness, the addition of The Kingsclub and Spa now creates, The Collection by Kingsmills, Scotland. 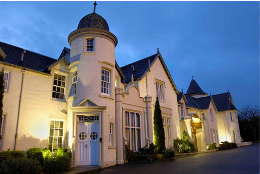 Meander along the tree lined Ness Bank and you will reach The Glen Mhor Hotel in Inverness, you discover a Inverness hotel which is perched in a picturesque setting on the banks of the River Ness in the shadow of Inverness Castle. accommodation, guests are provided with a unique caring experience. The hotel features an AA Rosette restaurant and a Cocktail Bar where the finest locally sourced cuisine and a wide selection of whiskies and other drinks are available. Please enquire to obtain the specially discounted rates for golfing parties. 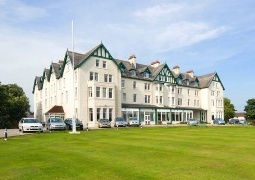 Stunning AA 4 star seaside hotel overlooking the Moray Firth and close to Inverness. View Hotel & Spa, Nairn. The Fairways Restaurant serves up fine dining and has been awarded AA 1 Rosette status, which is presented by passionate chefs in a selection of the finest dishes. Furthermore, the Links Brasserie enjoys beautiful vistas of the golden sands and Moray Firth coastline beyond. Golf View Hotel & Spa is also perfectly located for exploring Inverness, capital of the Highlands, and the wider Highland region. “Can I marry your chef?” Janet Sheppard, London. “Not only did we get what we thought we wanted – we also got what we didn’t know we wanted.” John Sutherland, Northern Ireland.